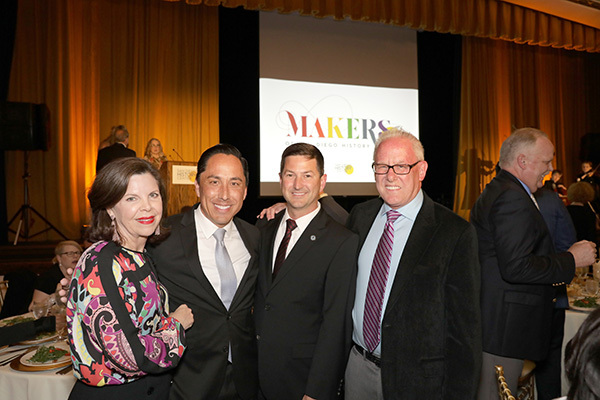 The San Diego History Center’s 2019 Makers of San Diego History event was the most successful in the organization’s history, raising $109,000 for the nonprofit on March 23. More than 300 community leaders attending the event left inspired about the work the San Diego History Center is doing. The event recognized those in the San Diego region who are making history in their own time. 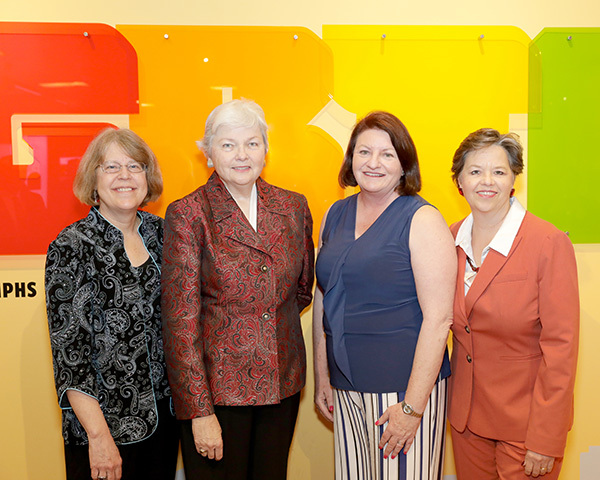 The honorees were California Senate President Pro Tempore Toni Atkins and former California Senator Christine Kehoe. These leaders made and continue to make a positive, lasting impact on our region. Master of ceremonies for the event was community leader and philanthropist Robert Gleason. Event co-chairs were Kristi Pieper and Julie Cowan Novak. The evening kicked off with a Champagne reception at the prestigious San Diego History Center in the heart of Balboa Park with a performance by the San Diego Women’s Chorus. Guests enjoyed dinner at the Prado, followed by a program honoring the 2019 Makers of History and a performance by the San Diego Youth Symphony. The San Diego History Center, founded as the San Diego Historical Society in 1928, has always been the catalyst for the preservation and promotion of the history of the San Diego region. The San Diego History Center, a Smithsonian affiliate, makes history interesting and fun and seeks to engage audiences of all ages in connecting the past to the present and set the stage for where our community is headed in the future. Through the flagship museum in Balboa Park as well as the Junípero Serra Museum in historic Presidio Park, the San Diego History Center is a place where visitors and locals can discover, discuss, and determine why history matters today.